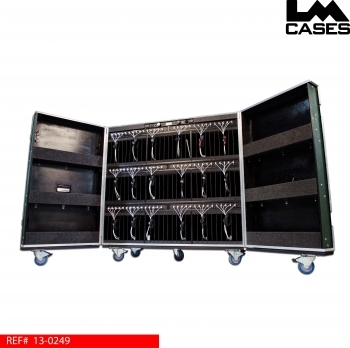 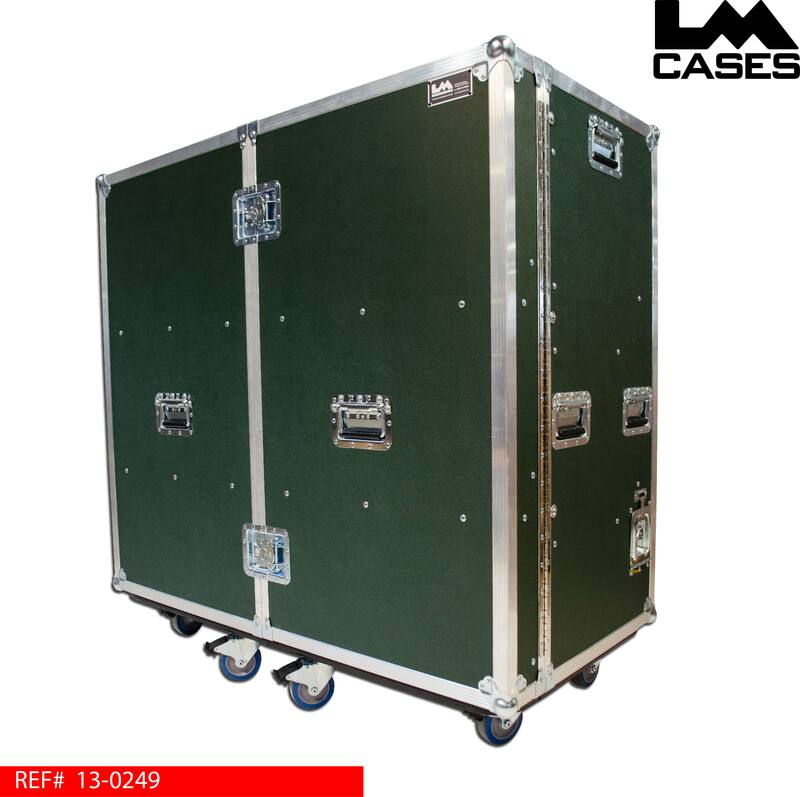 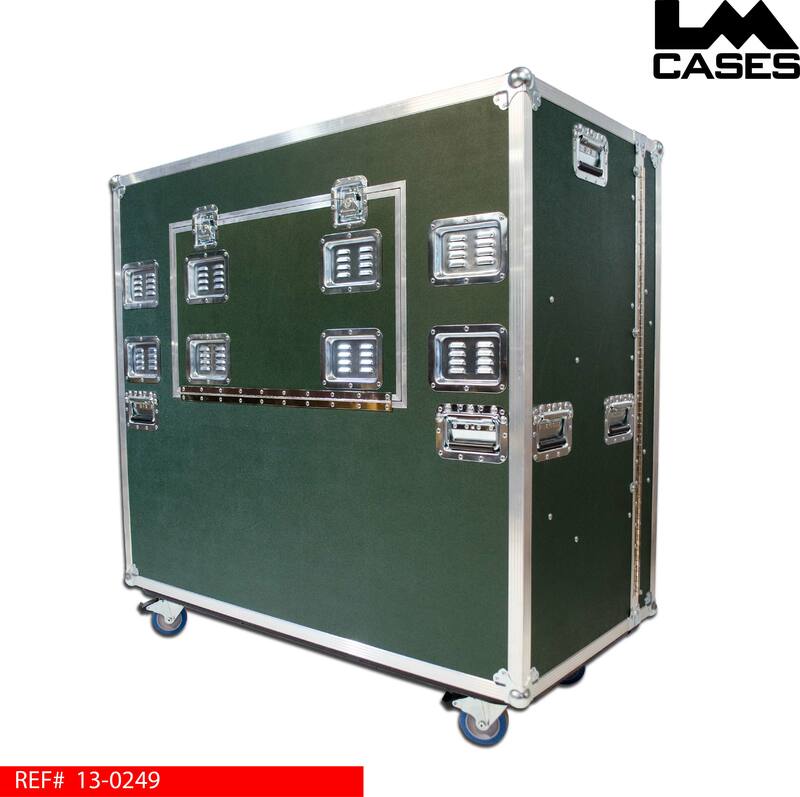 This case was designed for the Philadelphia Eagles by the LM Cases Custom Integration department. 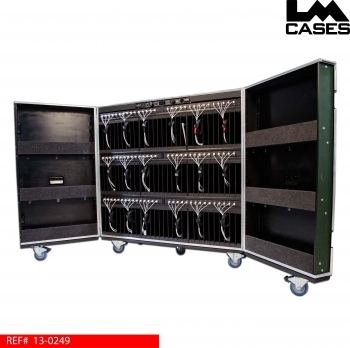 The case features 90 individual compartments with custom cables to charge the teams iPads when they are on the road. 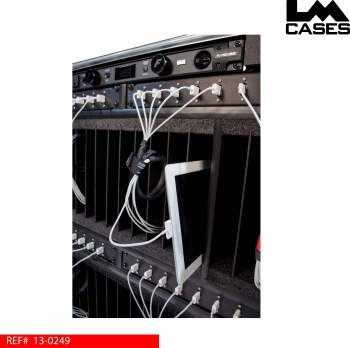 The case is designed to be locked while the iPads are charging inside. 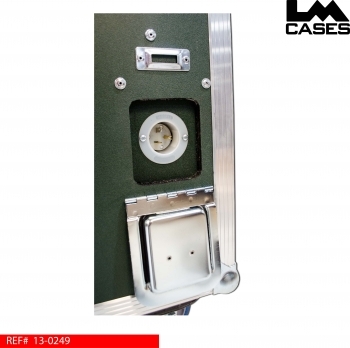 The iPads are stored on their sides in individual compartments with the charging port facing out. The power supplies are located behind the iPads, custom USB extension cables bring the connection port to the front of the case above the iPad storage compartments. 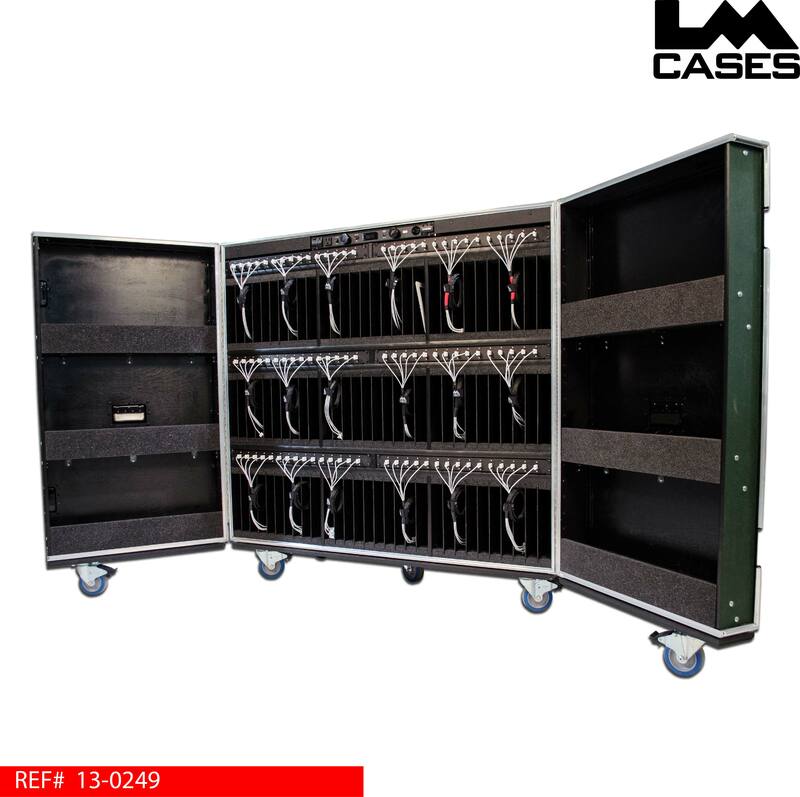 Each compartment has an individual USB charging port mounted above it in a custom black anodized panel. 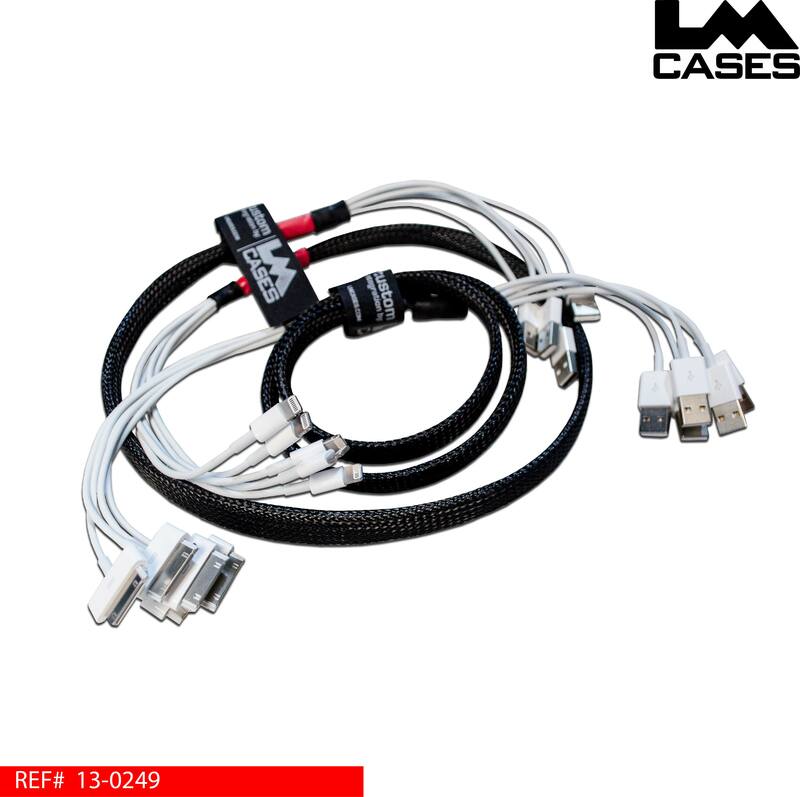 The Apple charging cables are organized in groups of 5 and color coded: black ends are USB – 30pin cables and red ends are USB-Lightning cables. 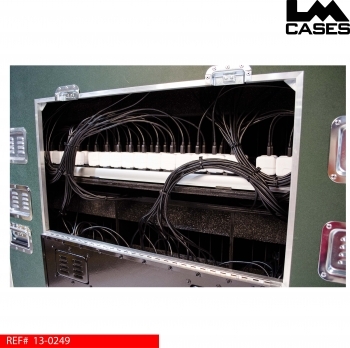 The case is wired to accept 20amp incoming voltage, power is handled by a Furman power conditioner that monitors incoming voltage and the current that the case is drawing during charging. The exterior case is built from 1/2" plywood and features 4" Colson casters, deep recessed hardware & vent dishes for cooling.